I ditched my Sunday morning routine of yoga and brunch for coffee and breakfast at Urban Beans this week. We were set to walk across the street to Starbucks when it occurred to me that we should give a local Phoenix coffee shop a chance. 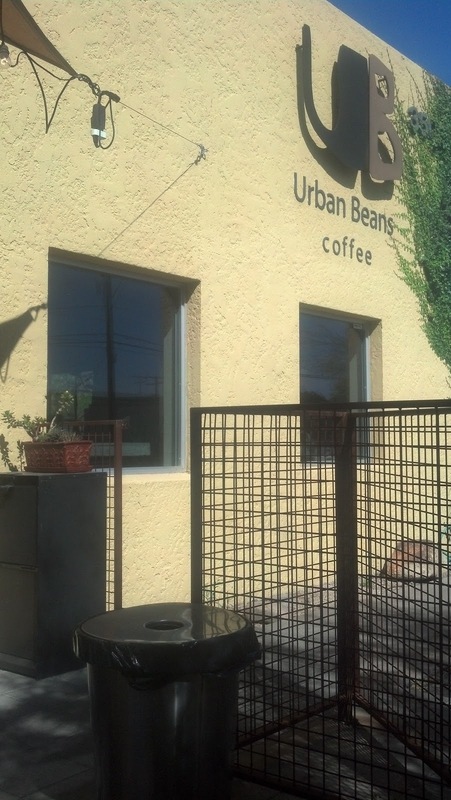 I drive past Urban Beans almost every day en route to work, yet I’ve never tried their coffee. The inside was small but cozy, with black-and-white photographs of Arizona ranchers adorning the walls. The patio boasted just enough shade to keep us cool and block traffic noise on Seventh Street. There was something that tasted different about the French toast, and I suspect it was the mango syrup listed on the menu. 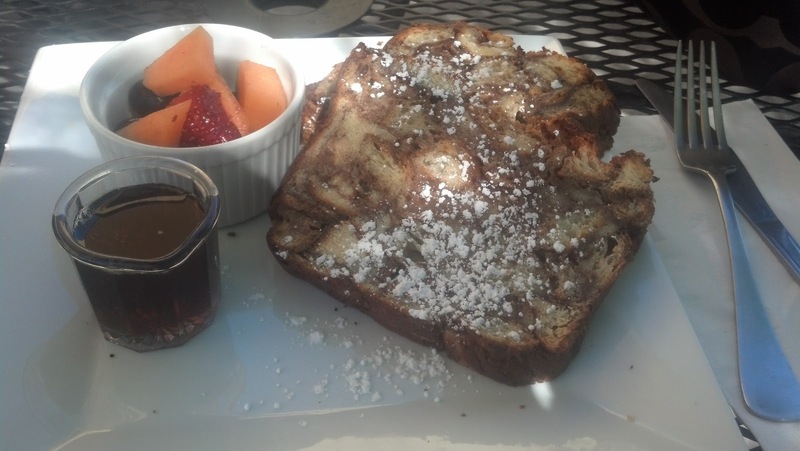 It was sunny, perfect-for-patio-eating Sunday, so I went with an iced coffee and French toast Urban style. I’d say what set this meal apart was the service. Both workers who took care of our orders were cheery and attentive. They suggested the omelet bar for us, the two Urban first-timers. I was also delighted to see that Urban Beans has a wine bar and offers a happy hour from 4 to 7 p.m.